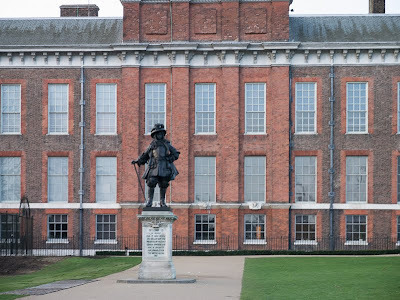 The statue of King William of Orange was recently given a bit of a clean up to celebrate the 100 years he has been standing in front of Kensington Palace. Other parts of the palace are undergoing more than a clean up in preparation for Kate and Wills moving in. I am glad our William is ready to welcome the other William. I remember walking around in these lovely gardens on a rainy afternoon one time when I was there. Umm I wonder if this is this being paid for by the taxpayer? William of Orange . . . mmm, off to Wikipedia. This will make a charming little cottage for the two lovebirds.